In Part 1 of this post we looked at the first two kinds of stuckness I often encounter in my Mental Chiropractic walks with people: subtle and acute. 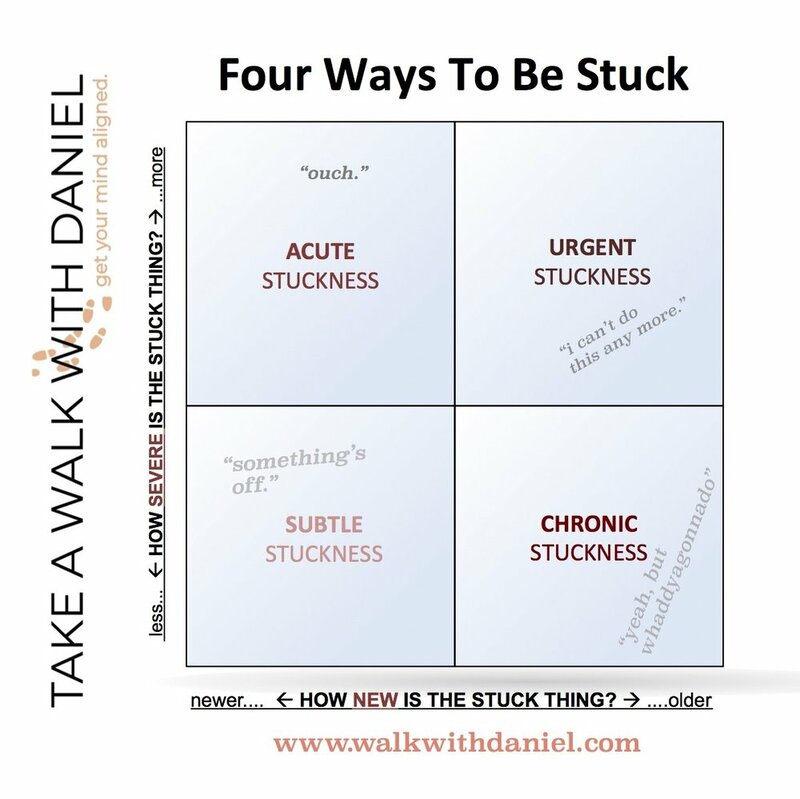 As I described, being subtly stuck means you experience a faint but noticeable something—a tension, a contraction, a lack of mental flexibility or confidence in a particular area. Addressing a subtle ‘stuck point’ is a sign of low tolerance for misalignment: you could easily ignore it and be “fine”, except you know on some level that it doesn’t have to be that way, and that addressing that final 5% will make a non-linear difference in your performance and satisfaction. Being acutely stuck is more serious business: something comes along that you can’t ignore, and you choose to address it head-on. But like a subtle stuck point, being acutely stuck means that the issue is somewhat fresh, as in recent or new— or at least newly recognized. In both cases, the act of noticing it leads more or less directly to you resolving to resolve it. But that ain’t always the way, is it? We all can look in our lives and see places where stuck things STAY stuck. They persist, they take root, they fester. Sometimes they worsen over time; sometimes they fade into the background and become wallpaper we no longer notice… except every now and then we feel queasy or uneasy and think “Hm, I should really change that wallpaper.” And then we don’t. And then sometimes they explode in our faces. In both cases they represent something misaligned that’s been that way a while— the only difference being, one is screaming bloody murder at you while the other just grumbles in the background. I was going to deal with this one last because it’s the most severe, but actually, come to think of it, it’s also by far the simplest. When something’s urgently stuck, there’s no getting around it, going over or under it, putting up with it, or putting off dealing with it. Things get real dramatic, real fast. This is when we can utter the phrase “something’s got to give” and really mean it. On one of my first Mental Chiro walks, a client was dealing with an absolutely explosive end to a romantic relationship. The whole romance had been dramatic and eventful from the start—that’s part of what had been so alluring, even addictive, about it for him. The emotional volatility of the whole thing had gotten to the point where he was completely beside himself: urgently feeling like he needed to end things, but also deeply afraid to let go. Meanwhile his partner was reacting to his attempts to end it by doubling down on the intensity, trying to cajole or convince him into staying. When that didn’t work, the tactic became calling him names, accusing him of spiritual cowardice, showing up at his door uninvited, and even threats of reprisal. He did end things, and reported that immediately he experienced an influx of energy and insight, as well as mental space in which a lot of profound questions about his life’s purpose and direction could be faced. Part of what had kept the relationship in place for him, he realized, was that it was an effective distraction from having to deal with some of these deep, unfamiliar, and nerve-wracking questions. Better the devil you know, you know? Usually if something’s urgently stuck, it means it’s been chronically stuck a while (see below) and life is just turning up the heat, forcing the issue, making what was previously tolerable now absolutely a must-deal-with. This can be incredibly taxing, feeling like the worst-case scenario. It helps, however, if we also recognize that this code red is in some ways doing us a favor: first we actually get to deal with the thing that’s been cramping our style for a while, and then we get to deal with everything that it’s been distracting us from. It also helps to realize that the flipside of an “emergency” is an “emergence, see?” Something new and better, or truer, might be trying to emerge out of this five-alarm 🚨🚨🚨🚨🚨 clusterf**k.
Asking the question “What is this perfect for?” is a good way of keeping an eye out for these hidden blessings. That’s not positive thinking; it’s highly practical intelligence. And like I said, the fact that something now has to change might be a powerful blessing in itself. Chronic stuckness (not to be confused with a different kind of sticky chronic) is the ugly wallpaper you’ve gotten used to hating. It’s the thing you tolerate, put up with, “power through”… except you’ve been powering through it for months or years now. And if we’re honest, the experience tends to be not all that powerful: grim determination at best, depleted resignation at worst. It’s a big old ¯\_(ツ)_/¯, without the smile. And the worst part? You might be so used to it that you no longer even notice it. These mantras are insidious precisely because they borrow the language of equanimity and acceptance—very powerful spiritual principles, when genuinely applied—in the service of staying exactly where we are. In the process, they conflate and confuse two very different activities: accepting something vs. tolerating something. I’ll have to devote a future post to the distinction between the two, because it’s really really important and can be hard to see. For now I’ll just say that although they seem related, they are often, in fact, quite opposed to each other. Acceptance, when it’s real, doesn’t cost you anything; it leaves you free and clear and available to take action to change the situation, where appropriate. Toleration, on the other hand, basically guarantees that the situation will continue as is. What’s extra sneaky about this is, we don’t see the ways we might be holding onto or re-upping our investment in what drains us. 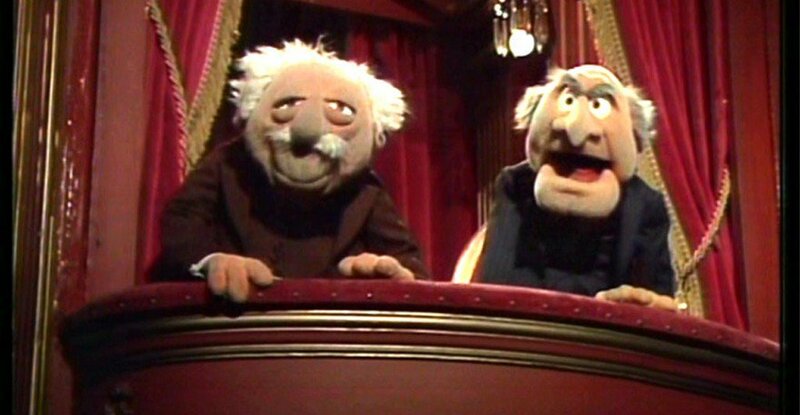 Like Statler and Waldorf, we keep asking ourselves the rhetorical question “why do we always come here?”, without any actual intention to put an end to the “torture” of having to “watch the show”. What to do with a chronic stuck point? Simply put, you have to find a way to stop tolerating it. That doesn’t mean doing something rash to “get rid of it” or cut it out of your life immediately— often that’s simply not possible, not without doing a lot of damage, at least. No longer tolerating something just means no longer normalizing it, treating it as a given. Bring it from the background to the foreground of your awareness. Put your conscious attention on the ways in which it’s misaligned with who you are and what you want your life to be about. And then—and this is crucial!—take an action that interrupts the drift. Action is literally the only thing that makes an actual difference in human affairs. With chronically stuck places in our lives, it’s extra important to take action, since there’s a strong inertia at work there. If the idea of taking action is scary to you, consider that you’re already taking a very powerful and consequential action in that area, an action called “keeping things exactly as they are.” So it’s only a matter of taking a new sort of action, one that’s aligned with a new intention. Know that you might have to deal with some feelings of shame or embarrassment, which can crop up when something’s been stuck for a long time. That’s fine; they’re welcome to the party, as long as they don’t trash the place. Really they’re just well-meaning but stupid friends, trying to protect you from the risk of actually doing something. Let them have their say, thank them for sharing, and then drop the needle on a whole new tune. Whatever you choose to do, take my pals Mos/Yasin and Busta’s advice and… DO IT NOW. My mission is for people to "unstick themselves" in areas or life situations where something is stagnant or blocked, and thus experience freedom and clarity. The combination of body moving (that’s the Take A Walk part) and my Mental Chiropractic™ approach to reframing thoughts and emotions produces a rapid and significant shift in how one sees, thinks and feels about a particular issue. What I'm finding with the folks I've been walking with—12 walks with 9 people in 3 time zones in 3 countries on 3 continents in the past 2 weeks since this site went live—is that being stuck comes in several varieties, each with its own challenges and opportunities. I invite you to read with your current life in mind. Do you see yourself in one or more of these? When something's blocked in a subtle way, nothing feels dramatically or egregiously wrong. We’re not even all that bothered. It's more a tiny itch than a major pain. If I asked you what the matter is, you might pause for a while and then say, "I don't really know. Things are fine, there’s just... something in the way." This sort of stuckness can show up, strangely, when circumstances seem very favorable. There's opportunity aplenty; no major adversity presents itself. Available options appear fine to downright great… on paper, at least. And yet something's stopping us from moving forward with clarity and power. We feel less than free to seize the moment, embrace what's in front of us. The misalignment here is simply between your authentic intentions and your habitual ways of being. Usually these ways of being—confusion, hesitancy, self-criticism—are so familiar that we mistakenly think they’re who we are. They tend to be driven by fear and an ingrained impulse to protect oneself against perceived threat. What’s misaligned about that? Mainly that the threats your personality is programmed to resist are not actually present. It can be hard to see that; the threat certainly feels real, and your mind might “believe” its brake-pumping interventions to be necessary, no matter how outdated they actually are. b) explicitly stating, or discovering, your actual intention, your deepest commitment. This core intention is your fuel source and compass for wherever you're going next. Once the mental strictures relax, people find they have both the energy and the clarity required to move forward with power and purpose. Acute stuckness is like a fresh ouch: those first few moments of realizing there's an injury. The “ouch” of it comes from the sudden force of the obstacle. Wincing or winded, you stop what you're doing and tend to whatever's hurting. …which will bring us back to d’oh. I'm thinking of the time when, on my way to a nerve-wracking artistic meeting in the basement of a Chicago theater, I forcefully pushed open two double doors and, as I walked through them, smashed my bespectacled nose into a central door jamb I completely hadn't seen. Two things were true: my forward progress was suddenly impeded. And it HURT. Maybe a better way to say it, rather than "stuck", is that you experience being stopped. 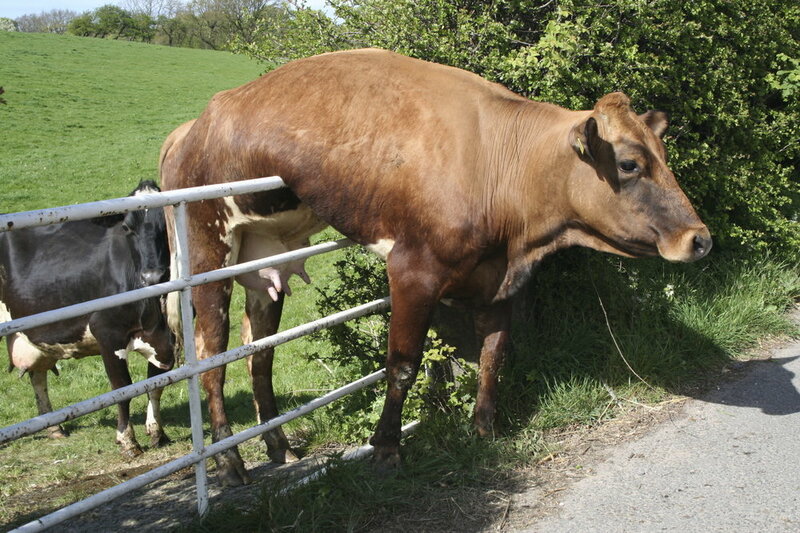 Your intentions thwarted, your way blocked, you can't see your way around this sudden obstacle. Being acutely stuck, or stopped, basically means you haven't had time yet to get used to it. That's a good thing. You still have the memory, and some of the momentum, of wherever you thought you were going. You can turn that momentum into motivation to get unstuck as quickly as possible: to see the obstacle for what it is, and get back on track toward your intended destination. Of course, reckoning honestly with the obstacle might mean a slight or significant change of course. Acute stuckness tests our level of attachment to fantasies, plans, and the way we think things are meant to go. This makes sense, since attachment to outcomes is one of the main impediments to alignment. One client, based in Europe, had recently discovered a new project she was deeply passionate about pursuing, one that lit her up from the inside. She felt a strong calling to go down this path. So far, so great— except, her long-term romantic partner had serious reservations about it. She felt, not wrongly, that a reckoning was coming: something had to give. Her acute pain and trepidation were clues from her nervous system that some tough conversations and choices were on their way. Rather than trying to “problem-solve” the pain away, or simply resign herself to an unsatisfying compromise (as was her default inclination), I guided her to use it as an opportunity to dive more deeply into the underlying intention of all her endeavors—including her relationship—so she could find some solid ground from which to communicate, create, and choose. By the end of our conversation, and even more so by the second time we walked ‘together’, her fear and confusion had transmuted into the fire of joyful clarity. No longer attached to the outcome but open to all possibilities, she was standing in her purpose with a deep sense of peace and determination. The good news is that no matter what kind of stuck you are, the remedy is always the same: alignment, alignment, alignment. I’ll have much more about this to say in future posts. In the meantime, I invite you to book a free consultation with me to see how an alignment walk can help pinpoint and shift where you’re currently stuck. Getting stuck is human. Staying there is optional. Mental Chiropractic™ can help.